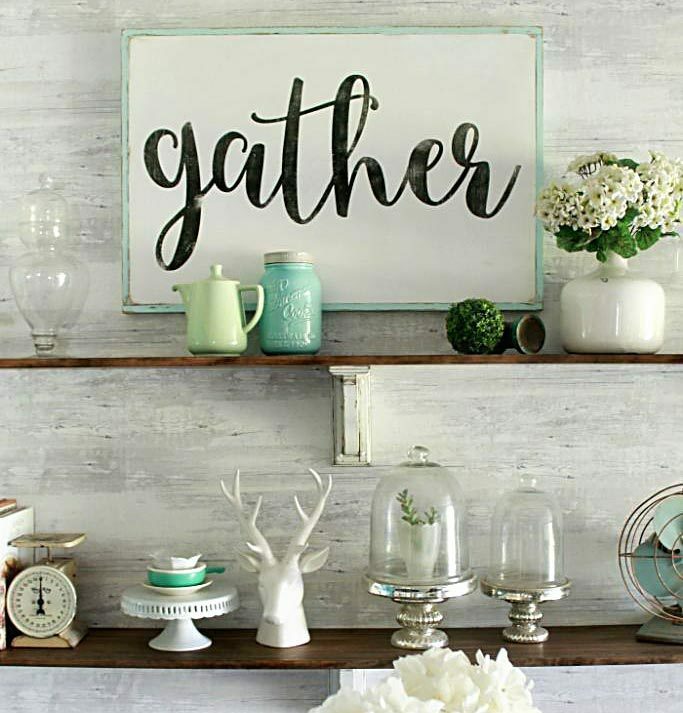 So happy to have cute Carrie from My Recipe Confessions back today! 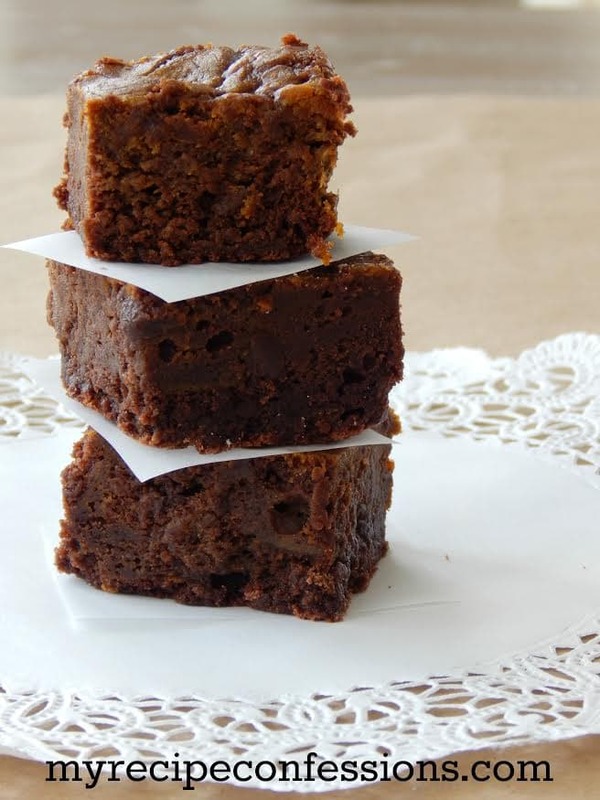 Her Pumpkin Brownies look absolutely amazing!! So thick & rich, yes please!! Thanks for being here, Carrie! Take it away, girl. Pumpkins and the fall season go together like macaroni and cheese, peanut butter and jelly, or bread and butter. 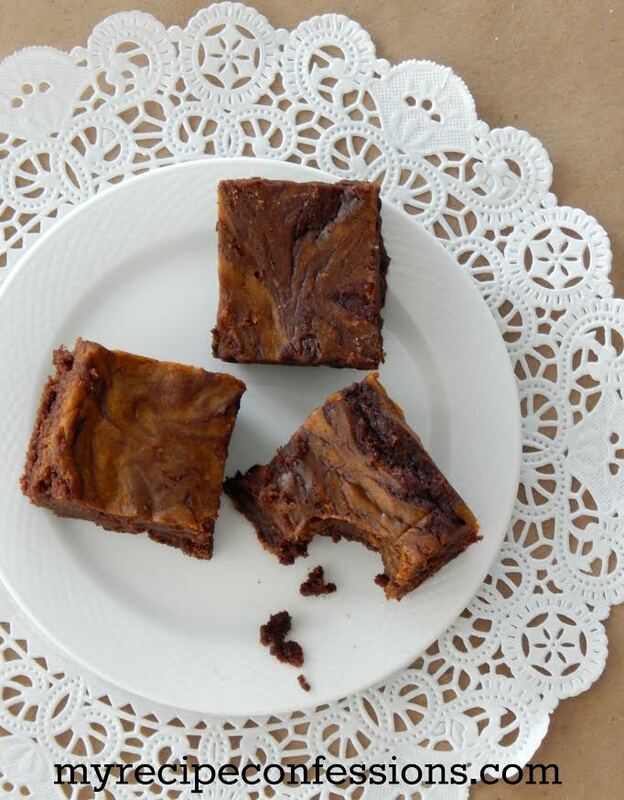 There are so many pumpkin recipes, but trust me, this Pumpkin Brownie recipe is one treat you don’t want to miss out on this Fall! These brownies are so incredibly moist. They can even hold their own without a frosting on top. I am pretty confident that once you try them, you will be making them again and again. 1. Grease a 9×13 inch pan. In a small bowl, mix the flour, baking powder, and salt. 2. Place the chocolate and butter in a large bowl, cover with plastic wrap and place in microwave for 2 minutes and 30 seconds. Remove from the microwave and stir to fully melt. Mix in the granulated sugar. Add the eggs one at a time, mixing well after each egg until well blended. Stir in the vanilla and the flour mixture. 3. Pour 2/3 of the brownie batter in the prepared 9×13 pan. Set the remaining 1/3 batter aside. 4. In a medium sized bowl, cream the butter and the cream cheese. Add the egg and stir until well blended. Mix the remaining ingredients into the bowl until the mixture is smooth. 5. Pour the pumpkin batter over the brownie batter in the 9×13 pan. Drop tablespoonful’s of the remaining 1/3 brownie batter. 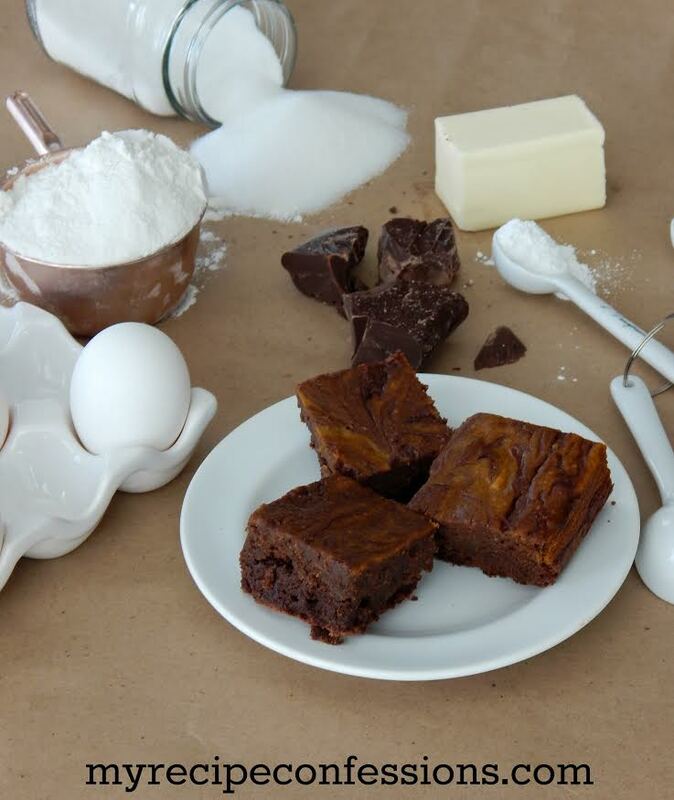 With a butter knife, gently swirl the brownie drops into the pumpkin batter. Bake for 50 to 60 minutes or until a toothpick inserted into the center comes out clean. Cool completely before cutting. 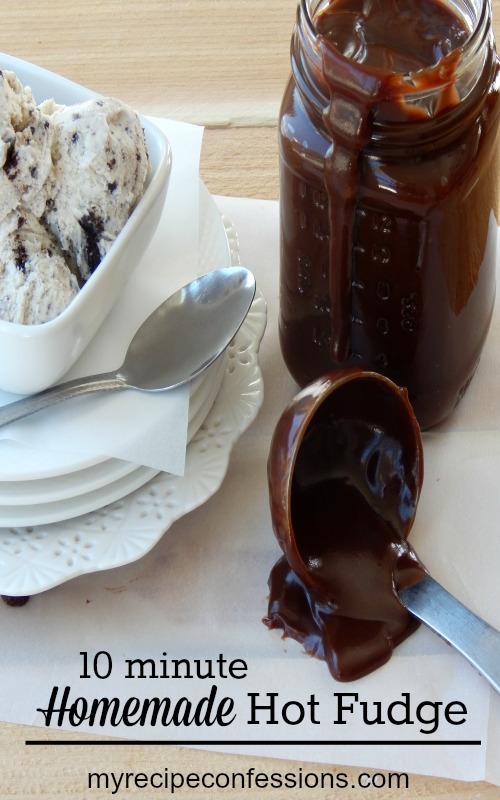 and her 10 minute hot fudge. 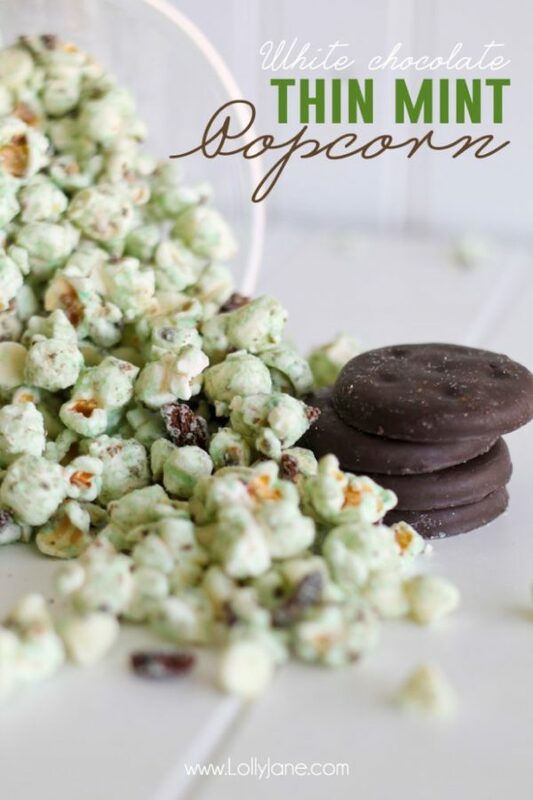 and our white chocolate thin mint popcorn. Mmmmm! Carrie! 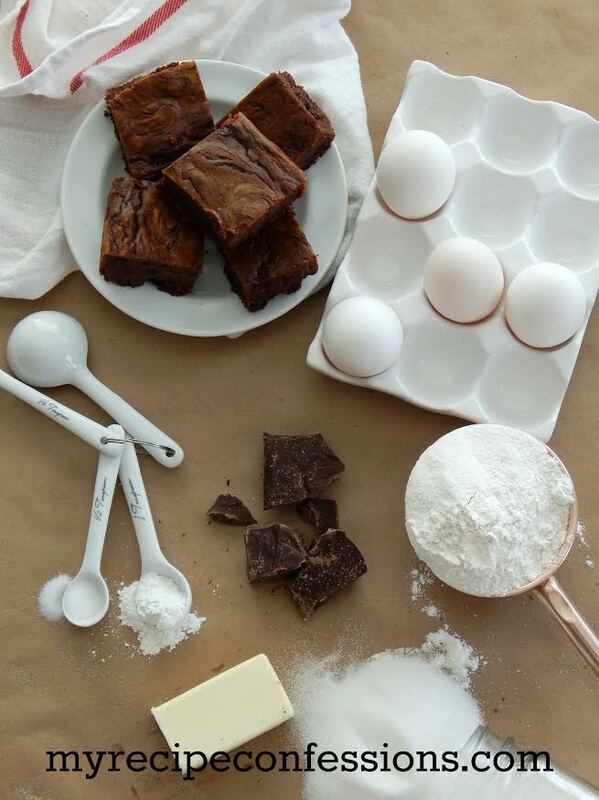 These brownies look so pretty and so delicious too! I love chocolate and pumpkin together! 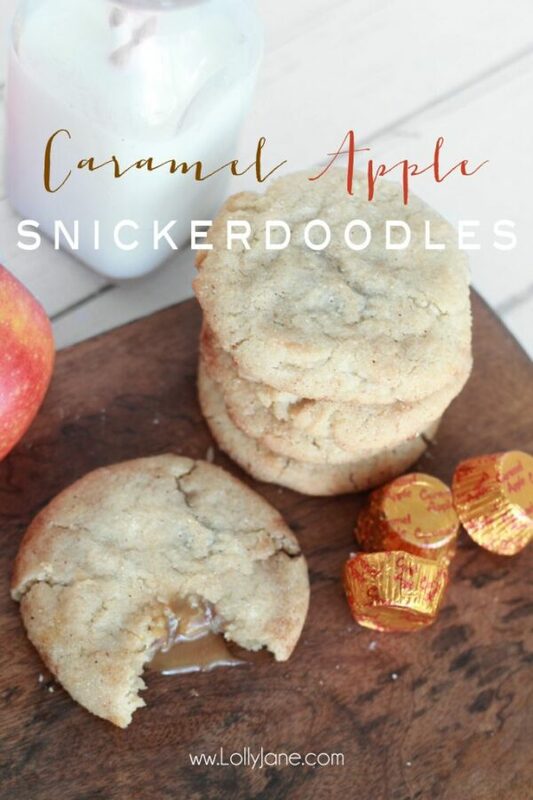 These look delicious, I cant wait to try them. We made them, sooo addicting!